Thanks for checking out our frequently asked questions for loyalty programs and Loyalty Gator services. If you don't see your answer below, please feel free to contact us and we'll be happy to help! A loyalty program is a tool used by businesses to encourage repeated sales, increased spending, brand loyalty and to collect customer data to better understand their needs. There are various styles of loyalty programs including Point Collection (earn points per dollar spent), Buy X get 1 free (buy a specified number of items and get one free), Action-Based (Do something a specified number of times to earn a reward) and Referral Programs (Earn points for referring new customers). The best loyalty programs are ones that fit your business model and make sense to you and your customers. The best loyalty programs are easy to use, can measure results, include lots of features, and are affordable. When researching loyalty programs, you will want to identify any restrictions such as allowed number of customers on the program, transaction fees, hidden fees, and rights to your customer data. The best loyalty programs are ones that are flexible and will grow with your business. Customer loyalty means customers will choose your business instead of your competitors. Customer loyalty means customers will be engaged with your business, and even promote it to friends. Customer loyalty is not only about introducing a rewards program, but about identifying your customers and their needs so you can communicate effectively via target marketing. What separates Loyalty Gator from the competition? We truly understand loyalty. It's not just our business, it's our core philosophy. We offer the best value in the industry by providing an easy to use, full-featured loyalty program at an affordable cost with no contracts, transaction fees or hidden fees. In addition, you maintain complete ownership of your valuable data. We work tirelessly to maintain unparalleled customer service and we are continuously innovating which allows our clients to continue to prosper. Do I have to use cards with your loyalty program? No! You don’t have to use cards at all if you choose not to. Our program makes it easy to lookup customers based on any of their information. Cardless programs are popular among many merchants such as online retailers and non brick and mortar businesses. What kind of customer data can I collect? You can collect almost any customer data you wish. With our program you can customize the data entry interface and capture any data you would like. Is it easy to switch to Loyalty Gator from my current loyalty program? Yes. We make it easy to switch to our program. If you are able to export your customer information to a database such as Excel®, the process couldn’t be easier. If you cannot export your customer data there are still other ways to transfer. Be careful: certain loyalty program providers have contracts that name the loyalty provider as the owner of the data – and not you. (Loyalty Gator absolutely disagrees with this practice and never claims ownership of any client data). You will have to determine if you have the rights to your data. 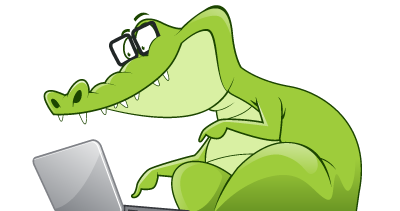 Can I reduce my current gift card costs by using Loyalty Gator? Absolutely. We offer gift card solutions at very affordable rates. If you are looking for both a loyalty program and a gift card program, we offer great savings with our bundled rate. Our gift card program is easy to use and integrates seamlessly with our loyalty programs. My POS already offers a loyalty program. Why do I need yours? Great question! We actually receive many inquiries from people who want to use our program instead of the one currently provided through their POS. The main reason is functionality. Our programs offer a far more comprehensive solution than the programs included with POS systems. Our program is more flexible and can adapt to compliment many various marketing strategies. I am a POS company and would like to integrate. Is this possible? As long as your system allows connectivity to ours (via API), that is definitely possible. POS companies are starting to see the need for a more comprehensive loyalty / gift card functionality, and we are a perfect solution. Absolutely! You can have peace of mind knowing that your data is stored with multiple secure managed servers, includes a load balancer that makes sure a server is always available, even if one crashes, hardware firewalls, instant data replication across all servers, 24 hour surveillance and restricted access, 256-bit high grade encryption, backup UPS and diesel generators, and CISP compliance to meet the highest standards in the industry. What if your service doesn’t meet my requirements? We offer a very flexible program with features like custom information fields, endless integration possibilities, and alternative interfaces to accommodate most business needs. While our system is designed to accommodate almost any business / loyalty strategy, there isn't always a perfect solution for everyone. That’s why we don’t enforce contracts with our service. You may cancel your service at any time with no fear of penalties. You can even take your data with you! Just give us 30 days notice if you feel that it’s not working for you. Yes! Just let us know and we will adjust your plan accordingly. No contracts? No transaction fees? No large plan fees? No captive data practices? What’s the catch? There is NO catch. We are a loyalty company first and foremost. Client loyalty is paramount. We don’t charge you exorbitant rates that equate to half of your marketing budget. We don’t want you to use our program because a contract says you have to. We want you to use our program because it truly helps your business and you enjoy working with us. We don’t charge transaction fees because we feel that’s counter-productive. Transaction fees seem like a punishment for running a successful loyalty program. The bottom line is: We don’t just promote loyalty, we actively practice it. Can your system work with my POS/website/custom application? The answer in most cases is yes. Please contact us for more information and we can determine how to make Loyalty Gator work for you.